So it’s getting to be that time of the year again… You know, that time of year when the air temperature is frequently colder than the water you’re wading in. The colored leaves of autumn have all died and left us with bleak looking mountain landscapes. Some of us view winter as “tying season.” But for those dedicated enough to suit up in waders and seventeen layers of clothing, the payoff can be huge. 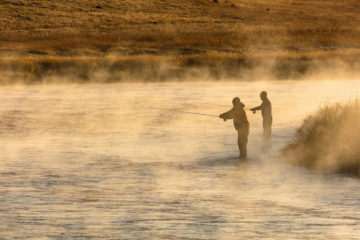 To me, it’s odd to think that some fly fishermen don’t even consider the possibility of catching a trout when temperatures are around or below freezing. So what if it’s cold outside? Fish have to eat too! And in my mind, it’s not a question of if I’m going fishing in the cold, but where. 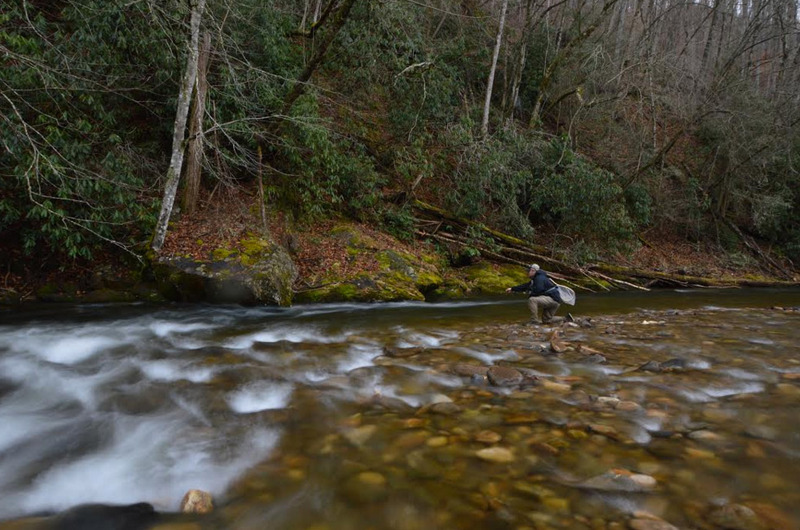 I know a lot of our readers aren’t as fortunate as I am to live in Western North Carolina where we have mild winters, but that shouldn’t stop you from hitting your favorite stream when it gets cold. So for anyone still on the fence about whether or not to brave the cold to wet a line this winter, or maybe you are just looking for some different patterns to use, I’ve put together a list of my favorite flies to throw in the winter. Zebra Midge– Black thread. Silver wire. Nickel bead. It doesn’t get much simpler than this classic favorite. These midge imitations work well year round, but I have found the greatest success during colder months when the majority of other aquatic insects are less active. I like to fish these as my first fly, tied off a 4” tag end of a double overhand knot, then tie on any of the flies listed below as my point fly. 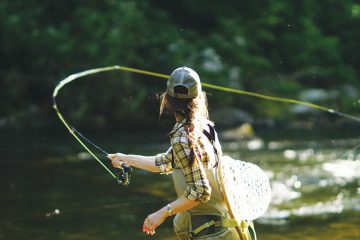 For this fly I recommend sizes 18-22, but don’t be afraid to go even smaller (size 24-26) when fishing a stream that receives heavy pressure. Mop Fly– This lesser known pattern has become very popular among competitive anglers across the country and has even garnered its own hashtag on social media #cantstopthemop. You may be asking yourself, why is it called a mop fly? Does it somehow clean up worm containers and tangled fishing line from the bank? No. But this fly can seriously clean out a fishing hole. For those of you who haven’t heard of this fly, you may want to take notes. It could change the way you fish. There are many different colors of mop material out there and different ways to tie them but I have found this version to be the most effective in the winter. I tie this pattern on a Daiichi #10 60 degree jig hook with a copper 4mm slotted tungsten bead. 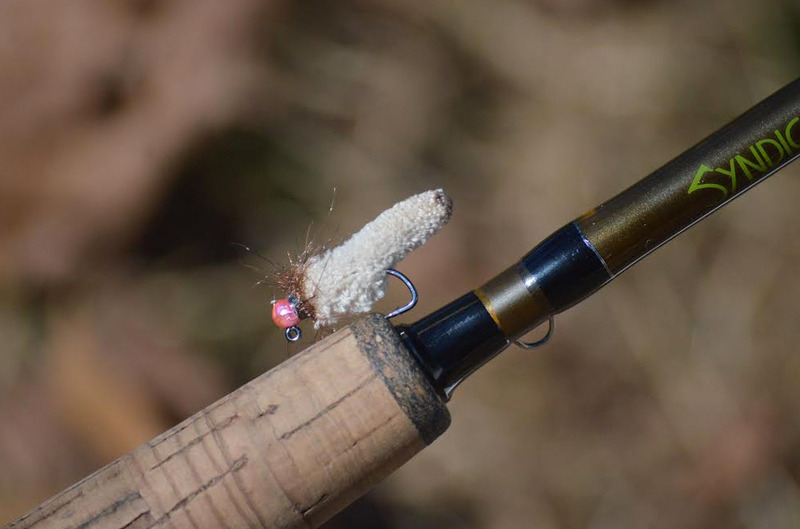 The heavy bead head allows this grub/crane fly larvae/cased caddis imitation to quickly get to the bottom where slow moving, lethargic trout are waiting for an easy meal to come along. Try this pattern out, I promise you won’t be disappointed. 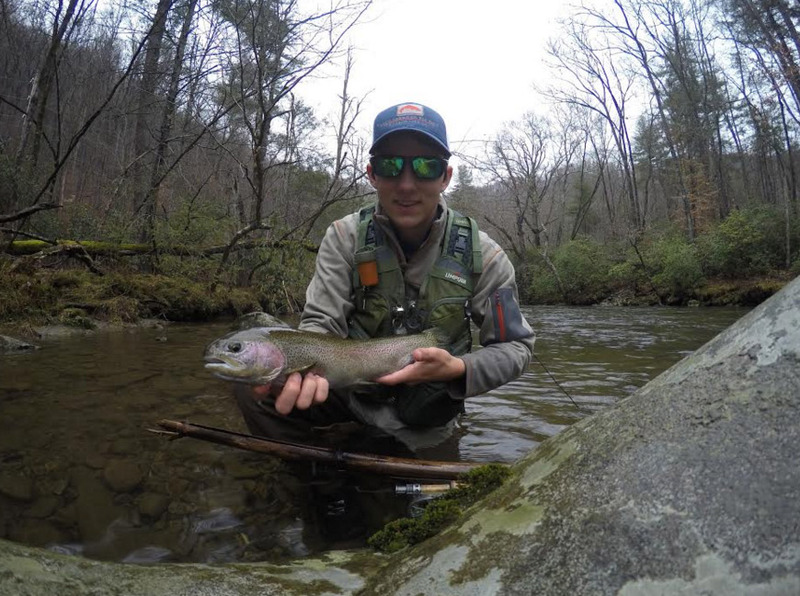 Rainbow Warrior– A truly awesome wintertime pattern, especially in Delayed Harvest streams. Just like the name implies, this fly is full of color and flash, ready to battle any trout that can’t pass it up. Rainbow warriors are particularly effective in sizes 16-20 when fished 14”+ above a larger attractor like a mop fly or girdle bug. Flashback Pheasant Tail Nymph– Another tried and true classic, with a touch of flash. 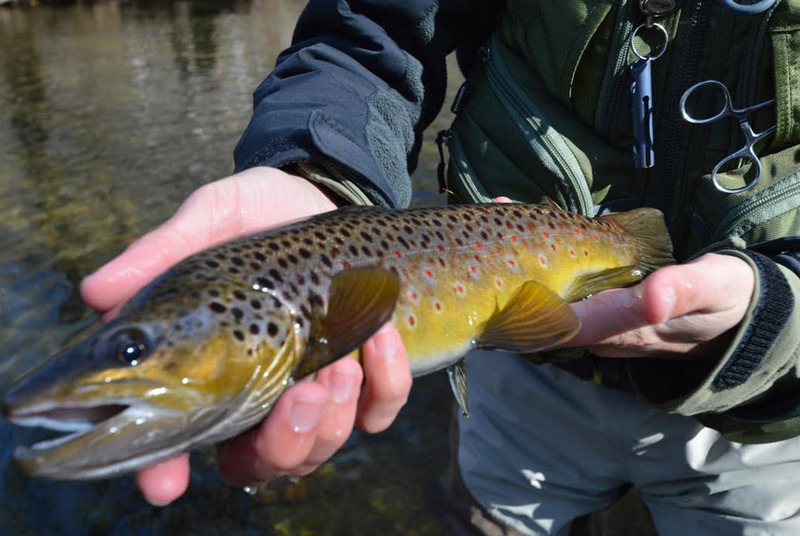 It’s no wonder this pattern has been around forever, it will catch trout all over the world and yes, even in the winter! A great choice for delayed harvest streams as well as wild water, this pattern is a great mayfly nymph and smaller sizes will imitate a midge. For something different to try this winter- tie this pattern as usual, but with a pale blue bead head instead of gold. The change in color will give pressured fish something different to look at while still maintaining a natural body look. Little Black Stonefly– This is without a doubt, my favorite cold weather dropper fly. If tied just right, they are super buggy looking and sure to catch the attention of hungry eyes. These small stoneflies that range in size from 16-20 only hatch in the winter, and in some areas of the Blue Ridge Mountains, these might be the only insects you see all day. But even when hatches of little black stoneflies may not be apparent, it’s never a bad idea to tie one on and test the waters. You could be pleasantly surprised.